HORSHAM, Pa.--(BUSINESS WIRE)--Aug. 20, 2015-- PhotoMedex, Inc. (NasdaqGS and TASE:PHMD) announces that no!no! 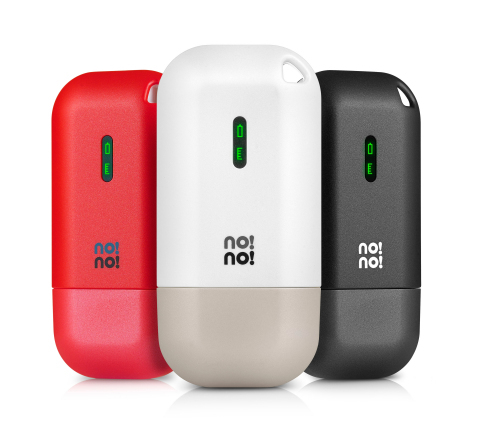 continues to break sales records with the launch of the MICRO no!no!, the latest innovation. These sales records continue to be broken even after seven years on UK home shopping. On August 16, home shopping consumers in the UK purchased more than 10,000 pieces of the latest generation of no!no! hair removal technology, generating over £1.1 million and representing a record for no!no! as the fastest selling unit, and selling out in only one and a half hours of live air time. The Company notes that the UK market is only 20% of the size of the U.S. market, making these results even more impressive. “August is traditionally a quiet period for home shopping sales, and this sales achievement demonstrates continued awareness and enthusiasm for the global brand,” said Dr. Dolev Rafaeli, chief executive officer of PhotoMedex and president of Radiancy, Inc. “Live TV home shopping has been an incredibly important part of the marketing and sales platform for the no!no! brand. Our strategy to focus on the unique benefits of no!no!, compared with other home hair removal treatments proved to be a success. We are very pleased that eight years and hundreds of thousands of units later, the brand is still generating strong sales,” Dr. Rafaeli added. As part of the one-day event, no!no! UK consumers were introduced to a brand new, edition of the popular hair removal device. The MICRO, offered in three colors- − lipstick red, midnight black and pure white− is the latest and smallest offering in portable and simplified home-use professional hair removal technology. To date, nearly half a million no!no! Hair hair removal units have been sold through this TV shopping channel in both the UK and U.S. combined, and more than six million units have been sold worldwide. Radiancy, Inc., a subsidiary of PhotoMedex, Inc. and a global leader for medical and aesthetic light-based systems, created no!no! Hair to answer the ever-growing demand for professional, pain-free hair removal that can be performed in the comfort and convenience of the home. This revolutionary product innovation offers a solution to unwanted hair of all types and colors by instantly removing hair and over time reducing the rate of hair regrowth with no pain, no mess and no chemicals. Based on the patented and exclusive Thermicon technology, no!no! uses heat to remove hair and get weeks of long-lasting results, making it universally safe and effective for everyone. Radiancy, Inc. is a leader in the medical and aesthetic skin care market. The company’s core belief that everyone is entitled to quality skin care has driven it to redefine expectations in order to deliver smart skin solutions to the widest possible range of professionals and consumers. Radiancy opened its doors in 1998 with an idea and a vision – to make quality light-based skin care available to everyone. Within a few years, Radiancy revolutionized phototherapy with the introduction of Light Heat & Energy (LHE) technology, with its premier system, SpaTouch, offering a safer, more efficient photoepilation process. By 2002 Radiancy had captured an unprecedented 37% market share and took its place as a global leader for medical and aesthetic light-based systems. Radiancy then adapted LHE to develop a line of LHE MicroPhototherapy products. Radiancy is also the home of the no!no! family of products.